Here is a current project that involved removing laminate countertops and a 4 1/4″ tile backsplash, The eating counter was also tile and it was removed. We replaced the laminate with Silestone Lusso. The customer loves it. 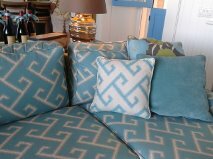 The slightly swirled pattern hides spots and the gold-brown veins add interest. The eating counter was made from a slab of maple from TreeFolks in Belfair. 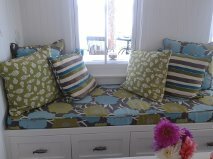 It was planed, cut into 3 pieces, rejoined, stained and installed in place of the old-fashioned tile countertop. The wood adds a nice contrast to all the hard surfaces. 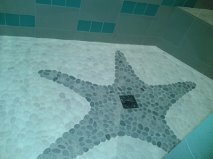 The backsplash tile is called Zodiac and we sell it here at Allyn Interiors. It is a ceramic and glass blend. It blends great with the Silestone Lusso and is a traditional pattern that will have a long time appeal. The sink selected was a Ruvati 16 gauge stainless steel and the faucet was Kohler Forte in brushed nickel. 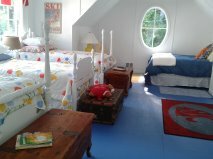 The new flooring is Engage Rustics vinyl luxury plank for easy care and maintenance. It went right over the old vinyl floor. The kitchen shade is a roman woven wood from the Provenance collection for added texture and color to balance the floor and wood countertop. These changes really updated this manufactured home and created an area that the homeowners will enjoy future meal preparation. 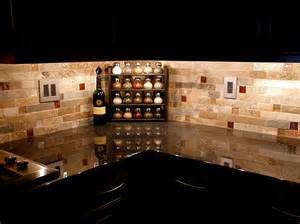 Tile Backsplash and Cambria Countertop Draws Wows! The countertop is Cambria Quartz pattern Laneshaw. The glass tile is 2″ x 4″ English Bay Driftwood in a stacked pattern with a metallic glass and zinc accent mosaic. The striking glass tile really turned the unusual angled corners behind the sink into a special feature. The undermounted sink is a stainless steel Kraus single bowl. Decorating with tile gives you an almost unlimited range of patterns, colors and materials. The most difficult task may be to decide what kind of beautiful tile best suits your lifestyle and decor. 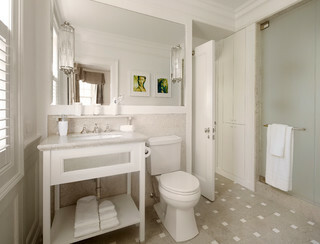 add Southwestern, Asian or African accents with a carefully selected tile. One of the challenges of selecting tile is that there are almost too many choices – and they’re all beautiful! backsplash, you’ll want to select tile that’s stain-resistant and easy-to-clean. clean without periodic polishing or sealing. Tile is also flexible because it comes in so many shapes and sizes, from tiny one-inch squares to giant 12-inch by 24-inch rectangles. many choices – that you can create almost any look and mood. 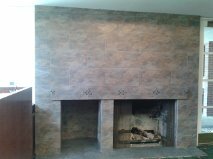 An old brick fireplace can really date your home. 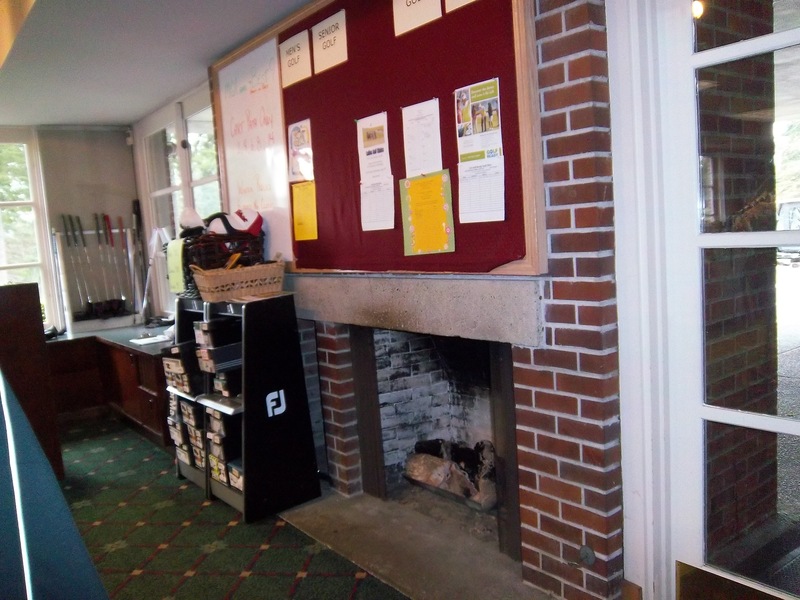 This fireplace is located in a pro-golf shop in Gig Harbor…it was time to retile this relic. 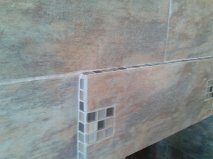 We selected 12 x 24’s porcelain tile for the face and 18 x 18 tile for the pad. Just a touch of mosaic was needed to emphasize the bump-out mantle. Here is the new look.